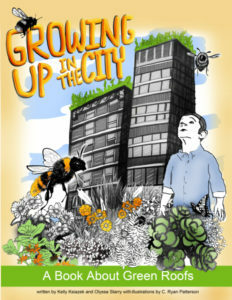 Growing Up in the City activity book teaches kids about green roofs. Make career day more interesting! Explain green roofs to kids with the help of the short animated video and the activity book Growing UP in the City. 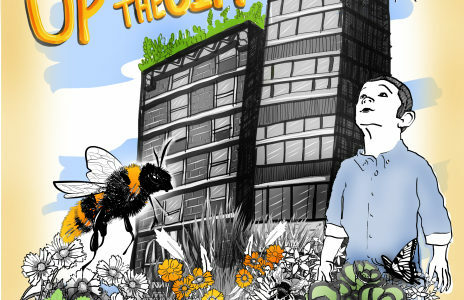 Green roofs, such as the LiteN’Less Classic, are a great way to help the environment and improve your community, says Giraffe a landscape architect to his friend the Little Yellow Bird. This fun animated video was created by University of Nebraska/Lincoln College of Architecture and is aimed at elementary school students to learn and build their own green roofs.